Qualified competitors who have received invitations are highly encouraged to RSVP via the online registration system. Players can begin to RSVP in mid-July, after the conclusion of the 2017 season. There is no registration fee for competitors. Additional spectator badges must be purchased online. 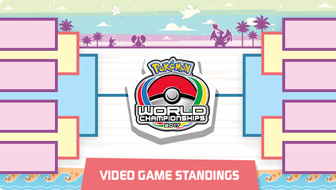 Register now to compete in the 2017 Pokémon World Championships! Those who would like to battle in the Pokkén Tournament Last Chance Qualifier will also need to register online prior to the start of the competition. The LCQ is open to anyone age 10 and over. The entry fee for the Pokkén Tournament LCQ is $30 for all players. 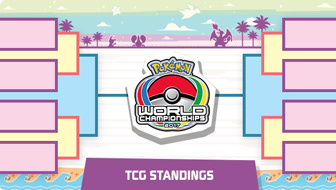 Registration for the LCQ includes a spectator badge to the Pokémon World Championships for the entrant. Players under age 18 will receive one additional spectator badge and lanyard at no charge for a parent or guardian. Additionally, all registrants will receive six Pokémon TCG booster packs. Entry fees are nonrefundable. Get more details on this event. Register now to compete in the Pokkén Tournament LCQ! Spectator registration will also be entirely online, and is limited. Spectator registration will be open until badges sell out. Until that time, they will continue to be available (for online purchase only) throughout the event weekend, until 1 p.m. Sunday, August 20. The registration fee for spectators of all ages is $10. Registration fees are nonrefundable. All spectators will receive two booster packs when they pick up their badge. Unfortunately, Spectator registration for the 2017 World Championships event has now sold out. Follow the action on the official event streams at Pokemon.com/Live and Twitch.tv/team/pokemon! All side events will take place inside the event space, so attendees must wear an official event badge at all times to participate. This includes the Anaheim Open and the Pokkén Tournament Last Chance Qualifier.